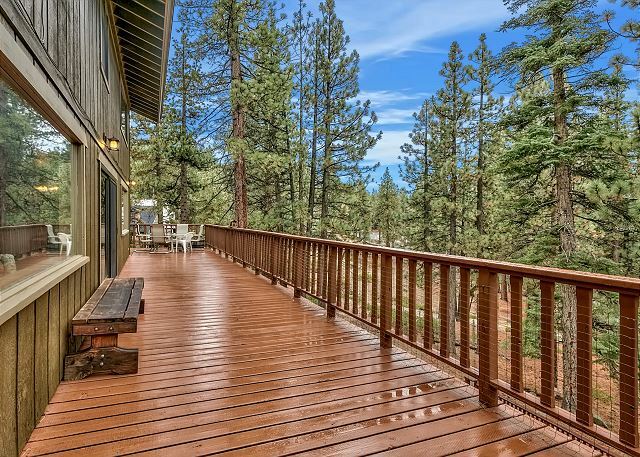 Beautiful Heavenly Valley Get-A-Way that sleeps your entire family. 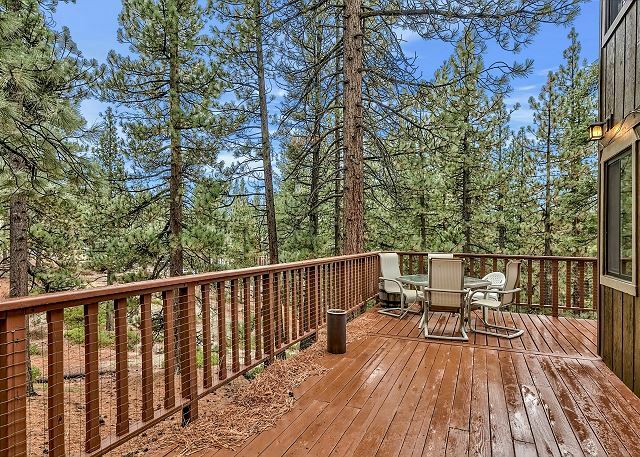 This dynamite Tahoe home has been upgraded with newer log and pine furnishings, numerous TV's, Pool Table, Hot Tub, Huge mountain view decks, large and upgraded kitchen, open and airy living with Tahoe Style furnishings. 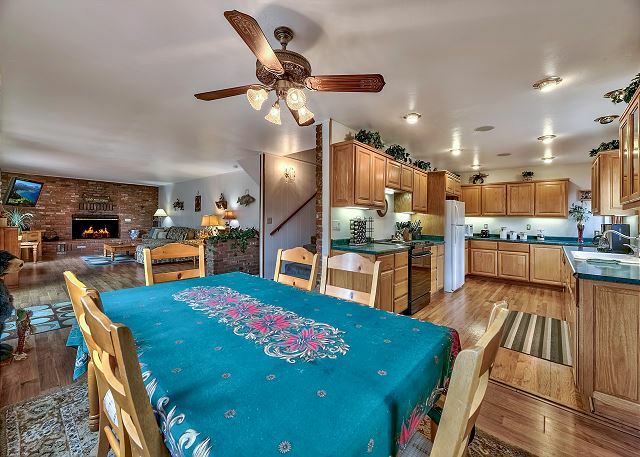 This 3 level home is perfect for two familes or one large family. 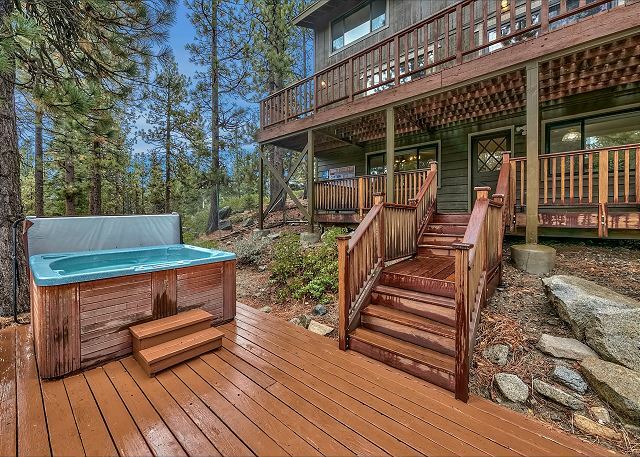 Seconds to Heavenly, Casino's and Beaches this is the perfect "Base Camp" for all of your Tahoe adventures. 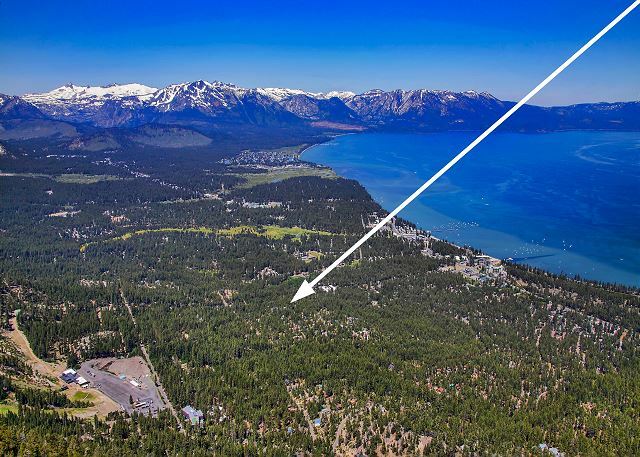 The location of this Tahoe retreat can't be beat, Heavenly Cal Base lodge is a 3 minute drive for skiing in the winter. 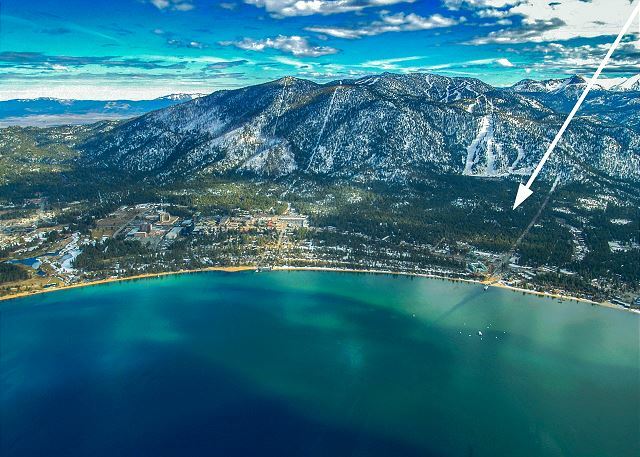 There is a wide selection of restaurants along Ski Run Blvd and Lake Tahoe Blvd all just a few minutes away (Himmel Haus, Cafe Fiore, Nepheles, Blue Angel Cafe, Riva Grill to name a few) There are also many ski and board rental shops. In the summer it is an easy drive to any of the gorgeous Lake Tahoe beaches. 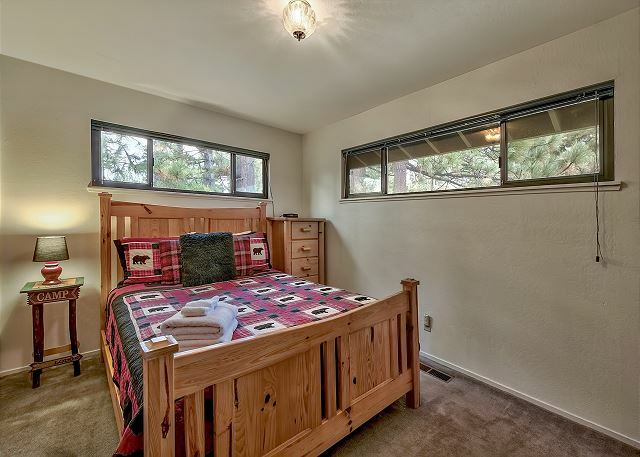 The entry level (no stairs) has one bedroom with queen bed and a full bath. 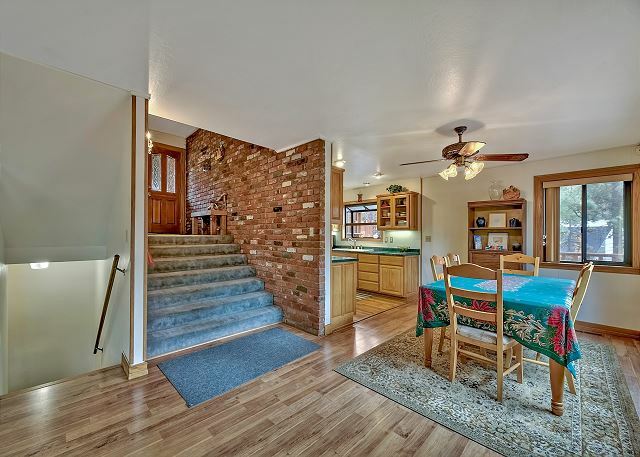 Down a few stairs you will find the living room with wood burning fireplace, slider to the deck that runs the width of the house, dining room and full kitchen. 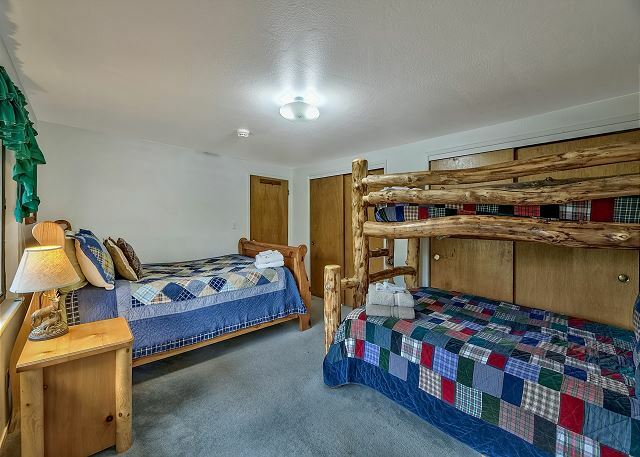 The upstairs has 2 bedrooms a full bath, the first room to your left has a log queen bed and a sturdy bunk bed that is a double bed on the bottom and a single above. This set up is great for the kids or a family. 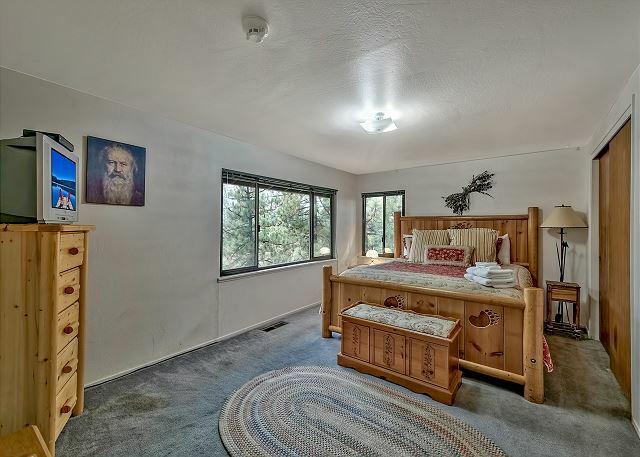 The second bedroom has a king bed. 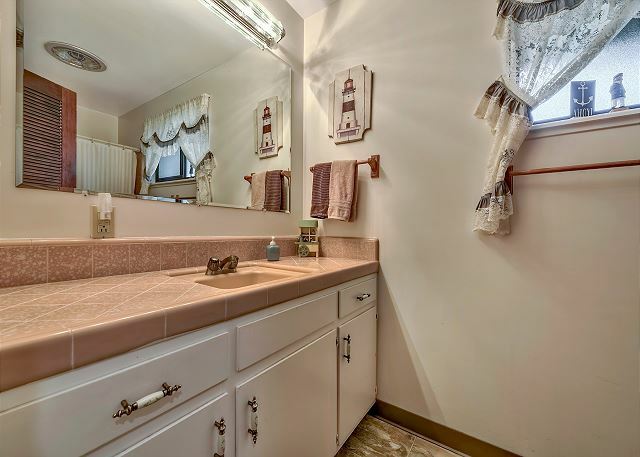 Both bedrooms share a full bath off the hallway. 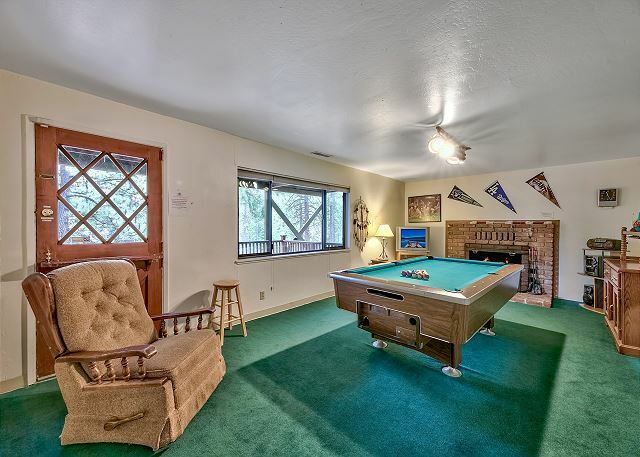 Down the stairs off the living you will find the pool table room with a second wood burning fireplace, pool table, tv, 4th bedroom with small twin sized bunk bed, a half bath and laundry. 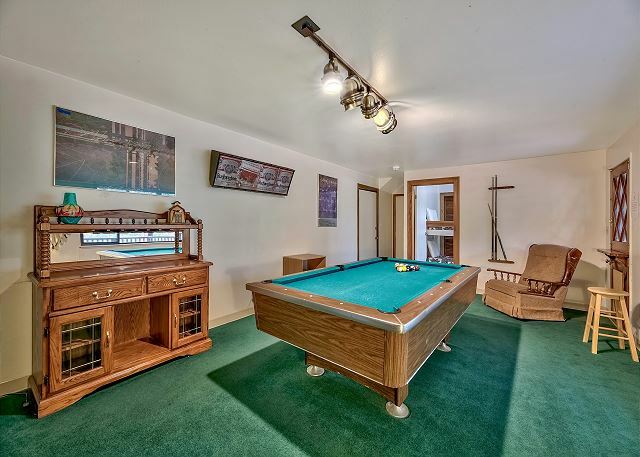 There is a door off the pool table room to the back yard and hot tub. Downstairs small bedroom with twin bund beds (small) great for the kids. Maximum Number of Vehicles: 4 vehicles must be parked in driveway or garage, no street or easement (dirt) parking allowed. Thank you, we are glad you enjoyed your visit to Tahoe! Great place for a ski trip! 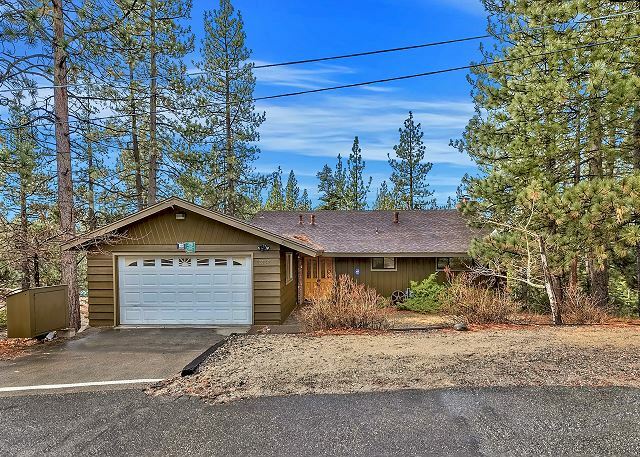 House is very roomy, hot tub is nice, and the garage had just enough room for two cars plus ski gear. 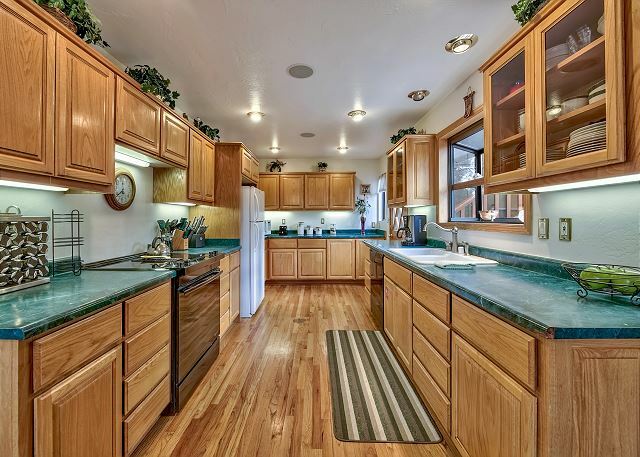 Older home but clean, full kitchen which is a huge plus! Not a ton of seating / couch was very uncomfortable. This is "walk-able" but about as far as you'd want to walk to the resort. You can also catch the bus but they do fill up quick. Thank you for the feedback, we appreciate the comments. Glad you made it through a very snowy weekend. Come back and visit skiing will be great for a long time this year. 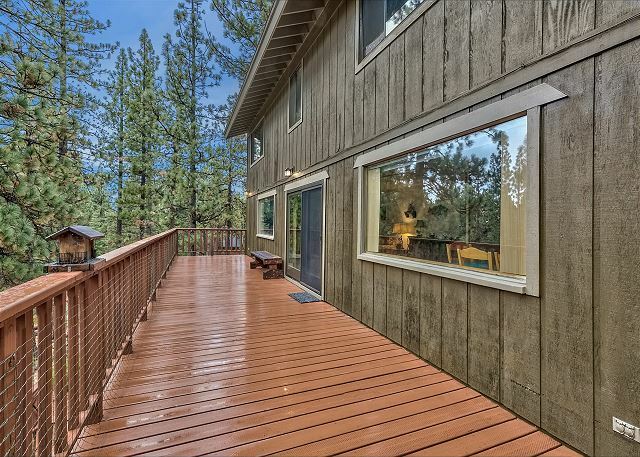 I found this house and immediately liked the fact that it looks like you are in a forest from the back deck. You aren't overlooking the street or other houses. There was plenty of room for 5 of us. We cooked and the kitchen had all the supplies we needed. The beds were comfortable and sheets were clean. The house was clean when we got there and getting in was easy with the instructions the Management company gave us. A few things were a little run down: the downstairs shower doesn't have the same water pressure and newer plumbing than the upstairs. The blinds were mostly broken and missing pieces. And the screen door had a hole in it. We would stay here again since it was clean, roomy and comfortable. Plus, it is close to everything! Thank you for helping make our weekend fun and easy. Thank you, we are glad you had a good weekend and thank you for the notes. Thank you! 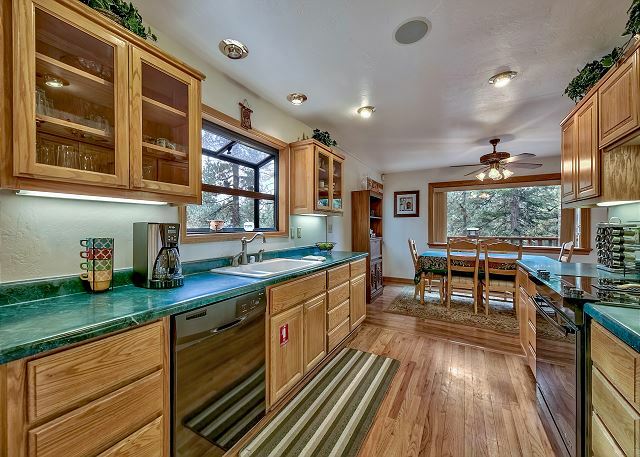 The location of this home is great for those that love to ski and explore Tahoe. Everything was great. 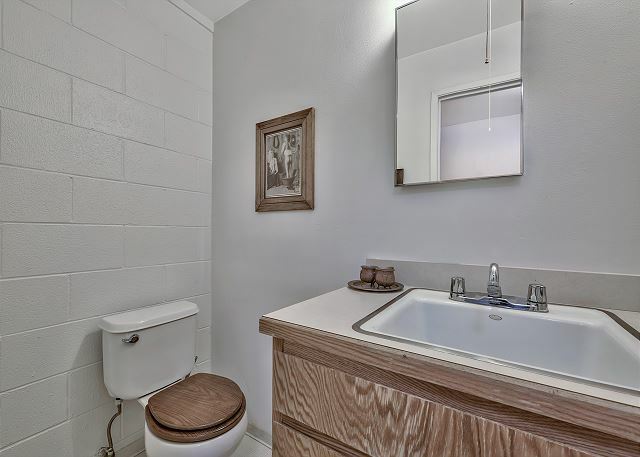 The house met all my expectations for cleanliness and comfort. The one thing I really didn't like though, was a $260 cleaning fee!!! We washed all dishes and took out the trash. The only thing the cleanup crew had to do was change the bedding. $260 dollars to do that is outrageous and a rip off. My cleaning lady does that and much more for only $80. We are glad you enjoyed the house, the location is one of the best. Our cleaners do a lot more than change the bedding, they clean all the bathrooms, clean floors, clean kitchens, wash all the sheets and towels, stock fresh supplies and make the beds and so much more. This is a three story home and our cleaners take great pride in keeping it looking great for each and every guest. This house has the perfect location at the base of Heavenly. It was close to the downtown hub and all activity areas. Thank you! 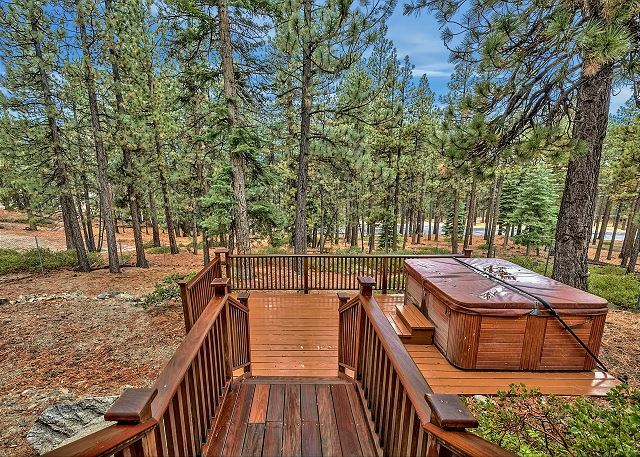 We are glad you had a good visit to Tahoe. Great place for large group and dog friendly. 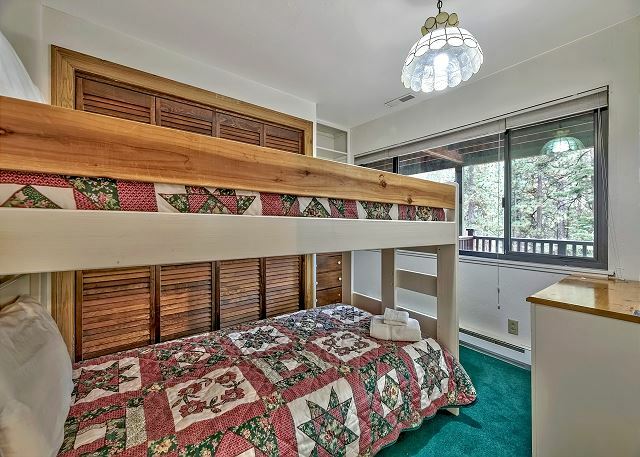 The house was clean and had lots of beds. We loved sitting on the deck, and the only reason I didn't give 5 stars was there were not enough chairs for outdoors, I suggest bringing lawn chairs and extra towels for hot tub and beach use. Otherwise, it was the perfect house for us, and the location is great for summer people like us, or winter skiers. We hope to come back next year. Thank you for the feedback, we will talk to the owners about getting more patio furniture. So glad you had a good stay in Tahoe. 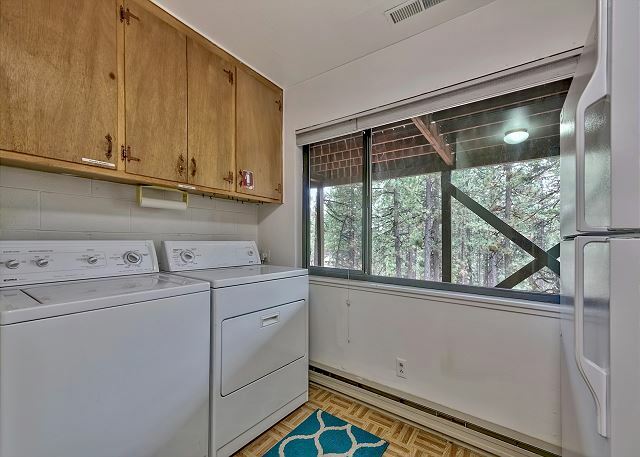 Nicholas A from half moon bay, CA does not recommend this vacation rental. The house was in a fine location. I'd say that the pros were: Location, hot tub, large size, many pots and pans, somewhat isolated as the neighbors are at least a hundred feet away and no houses past the back yard. 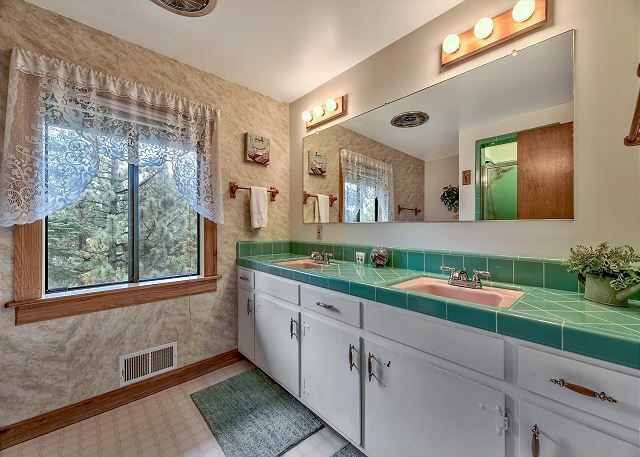 The cons were: the whole house kinda didn't seem upkeep (loose deck boards, utensils and coffee maker didn't match the coffee pot which made for an overspill situation), the house was clean, but didn't feel clean because things were just pretty old and tattered. Also, very hot upstairs. A few people in my group opted to sleep on the couch in the living room because sleeping upstairs was too hot. Also, the hot tub water was pretty gross and murky. The biggest con was that someone came over, claiming to be the property manager and handed me a business card for Jerry Williams(could have been a weird neighbor who grabbed a stack of Jerry's business cards for all I know). His overall demeanor was off putting. It seemed like he was accusing us of something (which ended up being taking street parking which isn't allowed). He also mentioned to be sure to be quiet after 10pm. I asked if there were any complaints on from our first night, knowing that that couldn't be possible because we weren't at the house all night. It just seemed like he was acting as if he knew we were not respectful adults. I live in the area and I know first hand that volume is huge, and sound travels in the woods, so this was not a problem for us. So, I don't understand why he had that attitude. For the size of the house, I was also surprised we couldn't utilize the many parking spots that were in front of the house. He acted as if it was obvious to park in the garage, yet, there was no code in the paperwork(that was obvious to me at least) to even access the garage. We promptly shuffled cars and everything was fine, but I still hold a grudge against that manor talking to me like a child. Enough ranting, that's my biggest complaint. 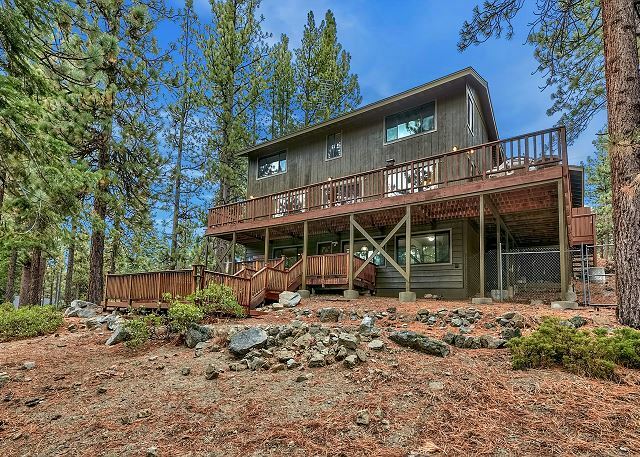 The home was perfect for spending a couple extra days with family in South Lake Tahoe! 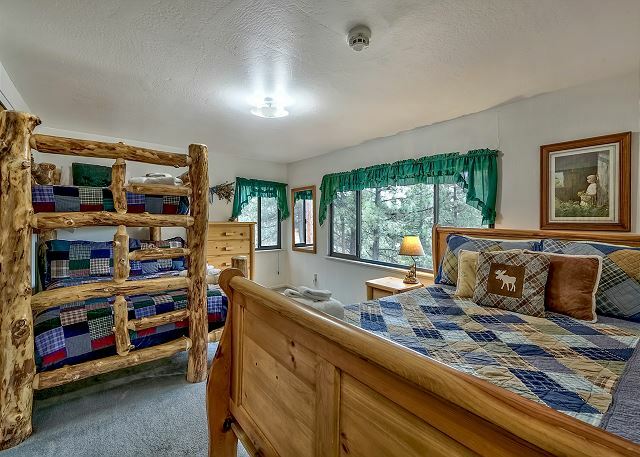 There were 7-9 people staying there comfortably with enough privacy and space for everyone. 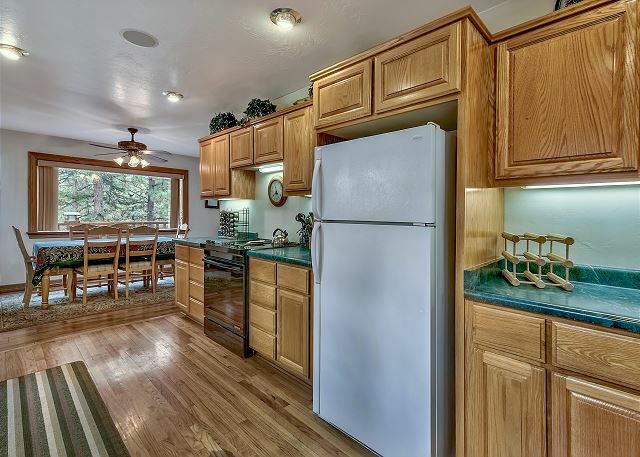 The kitchen has enough appliances and utensils to make a dinner for a crowd. We are so glad you had a good time, please let us know if you want to come back and visit Tahoe again. Everything was in condition. Backyard is fenced. Driveway is small however so fitting 3 cars was not possible. Did not have garage access but not sure if we needed it unless it could fit a car. Hot tub worked. All electronics and kitchen appliances worked. Beds were comfy. 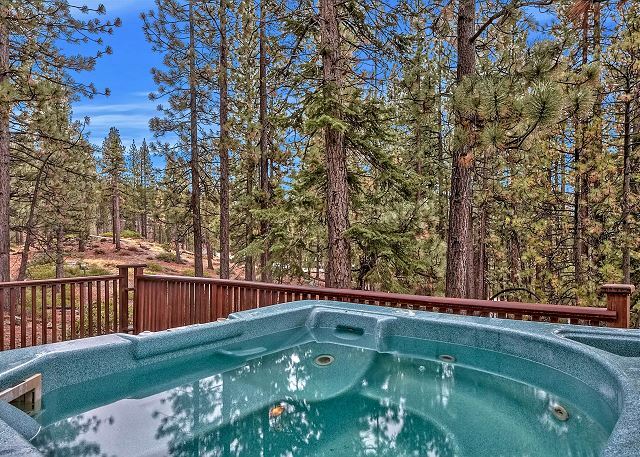 About a <2 min drive from the california lodge and 5 min drive to casino/gondola area. The front door key opens the garage door and yes you can fit two small cars in the garage. Glad you had a good stay! Great location, could use better maintenance. Overall, we enjoyed our stay. The house was in a great location, quiet neighbors and no traffic . Which is great for kids and dogs. But, the general condition of the house was lacking a bit. The house smelled like smoke. There were spider webs everywhere. The bathrooms could be cleaner. The toilet kept making noises. Shower curtain were pretty gross and shower wall could be scrubbed. We were excited about the pool table. But, all of the sticks were broken. There was a broken chair. Downstairs porch light was broken. There were glass on the deck. The kitchen could use some new baking dishes. They were rusty and some pots had broken lids. Other than that, the house was big enough for our party with 12. We made the best of out it. We got to play outside. The backyard is fenced. Which was great for kids and dogs. Thank you so much for the notes, we have replaced the shower curtain, pool sticks and light bulbs. The owners were here in March and they did some upgrades to the kitchen pots and pans.